At Pool Shop Xpress we only stock the best quality pool chemicals that we can source. For the past five years we have been dealing exclusively with the Zodiac Pro range. From balancing chemicals to specialty stain treatments, we have seen great results with both the strength and quality of this range. Don't get caught with the damage that can be caused to your pool from the use of inferior low strength or high impurity chemicals. 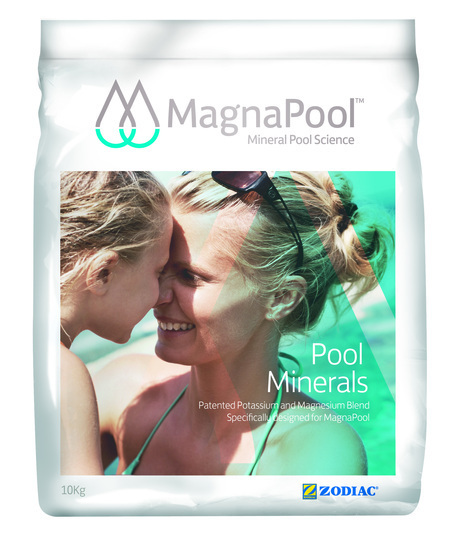 A pure, sparkling pool with Zodiac pool chemicals in three easy steps. What could be more fun than owning your own swimming pool? Whether you like to do laps, splash about, play Marco Polo or just laze about by the edge, a swimming pool can bring us lots of joy. Keep the pool ready for family and friends! Is your pool safer to swim in? Untreated, or improperly treated water can be a health threat. Chemically balanced and sanitised water, on the other hand, will provide a healthy and visually appealing environment for you, your family and friends. Balanced water means that chemical demands have been met. If the chemical levels are too low the water will aggressively seek the products it needs by attacking the pool surface and equipment. This may lead to severe corrosion problems. On the other hand, high chemical levels may lead to the formation of scale on the pool surfaces and equipment. Out of balance water can, therefore, cause expensive damage to the pool and may also inhibit the sanitising process. pH is a measure of how acidic or alkaline the water is. The pH scale ranges from 0 to 14, with 7.0 being neutral. Values below 7.0 are acidic, and values above 7.0 are alkaline. With pool water we are seeking a pH balance suitable to the pool user, the pool and sanitiser use. Australian Standard 3633 defines the operating range as 7.0 to 7.8 and the recommended range of 7.2 to 7.6 (SPASA recommend 7.0 to 7.2 for fibreglass pools). Interfere with the action of your pool sanitiser. Effective sanitising relies on pH values. Therefore, sanitiser and pH levels should be the measures you check and adjust most often. Regardless of the chlorine type or the chlorination process used, any pH drift above the recommended range (7.0 to 7.8) will inhibit the sanitising effect of your chlorine. This is a measure of bi-carbonates, carbonates and hydroxides in your water. The Australian Standard 3633 recommends a range of 60 to 200 parts per million (ppm). Your pool builder or pool shop will advise you of the recommended level for your pool. Low T.A. will lead to erosion of the surface of concrete and painted pools. It will also cause the pH levels to be very unstable with small additions of chemicals resulting in major shifts in pH. adding buffer (bi-carbonate of soda). This RAISES the Total Alkalinity. adding acid to your pool to lower pH will also LOWER Total Alkalinity. topping-up your pool will change the Total Alkalinity depending on the T.A. of the top-up water. THE INTERCONNECTION BETWEEN pH AND TOTAL ALKALINITY. Total Alkalinity of approx 100 to 120 ppm (60-200 is the recommended range). Check with your pool builder or pool shop for the level required in your pool. Lets assume that the pH is OK but the Total Alkalinity is low. To raise the level, add “buffer” (Sodium Bicarbonate) at the required rate. However Buffer is an alkali and will also raise pH. Acid (Hydrochloric Acid or Sodium Bisulphate), which is used to lower pH, also lowers T.A. The trick is therefore to raise the T.A. artificially high so that when acid is added, to lower the pH to the correct level, the T.A. is also reduced to the correct range. Note: Hydrochloric Acid must always be diluted (one part acid to ten parts of water) prior to adding to the pool. Always add acid to water, never water to acid. In simple terms, this measures the amount of dissolved calcium in your pool water. The recommended range is 80 to 500ppm according to Australian Standard 3633. Both Total Alkalinity and Calcium Hardness need to be brought into balance. If not, low levels will mean the water is corrosive to the pool and/or equipment; high levels will lead to scale formation on pool and equipment. Calcium hardness tests cannot usually be performed with the standard test kit. We suggest a water sample be taken to a S.P.A.S.A. Accredited Pool Shop for testing. A rough rule of thumb in areas where calcium levels are not naturally high is that testing annually will suffice after the initial adjustment. The only qualification to this is if you are using Calcium Hypochlorite to sanitise your pool. This chemical raises Calcium Hardness levels which may require more frequent testing and adjustment. As a general rule you are far better off adding small amounts of chemicals, running the filter and testing the effect after several hours. Attempting LARGE chemical changes by adding LARGE amounts of chemicals can result in BIG PROBLEMS.